"Zukunft braucht Herkunft" (the future needs a background), as Odo Marquard (a german philosopher) has already said. 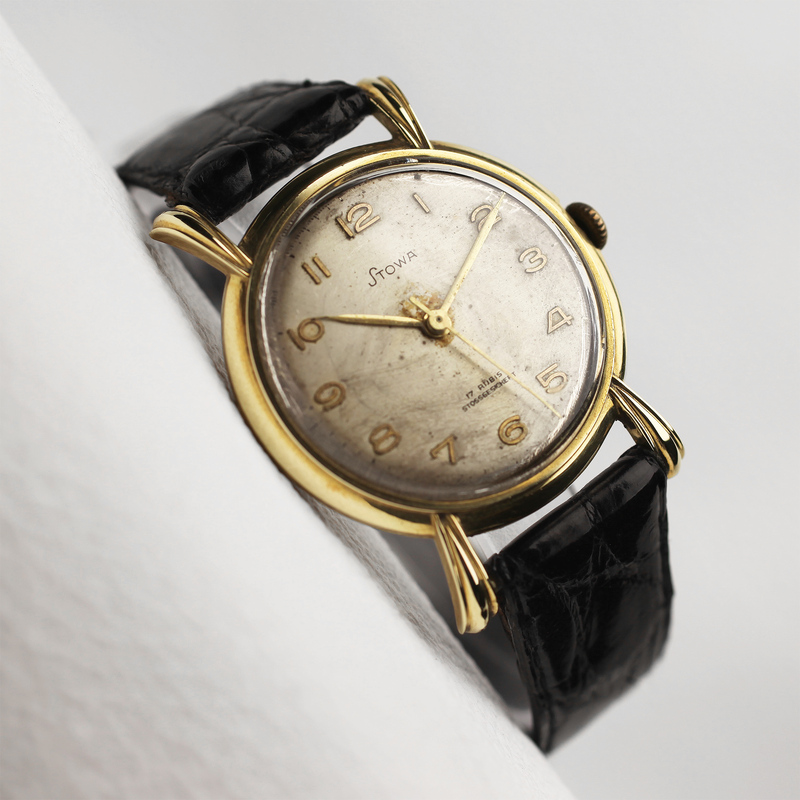 STOWA's in-house museum proves this impressively. 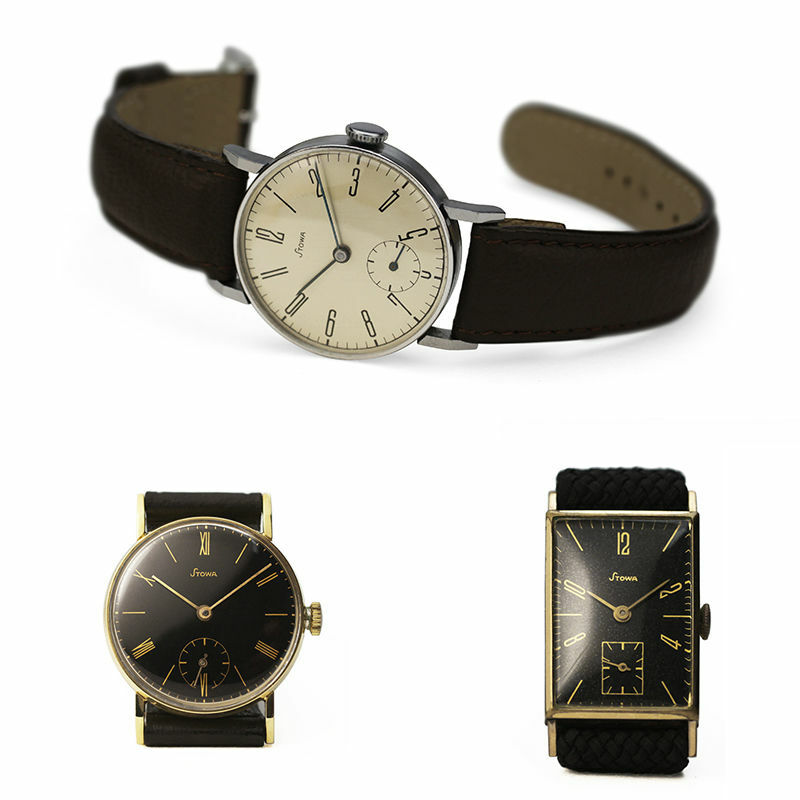 More than 70 (out of a total of several hundred old watches in stock) show a cross-section of STOWA's creative power. 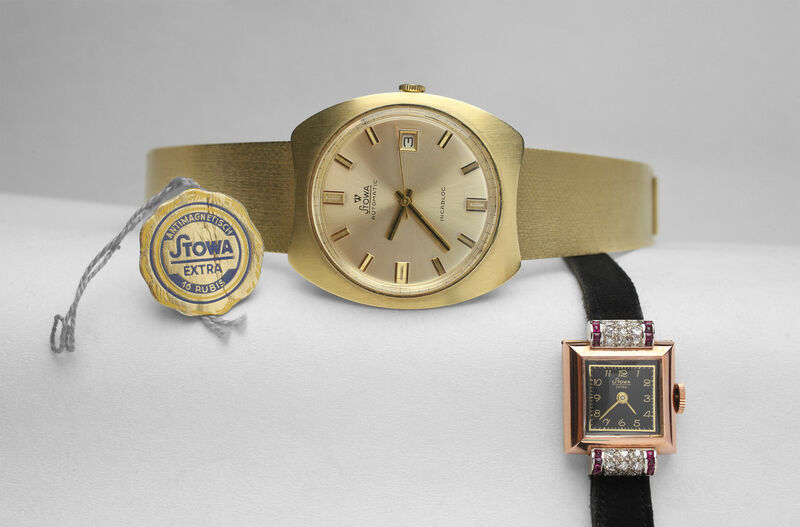 Step by step these watches are shown and described here in the virtual museum. Some texts are linked with additional information. Often you get another , bigger picture after clicking on the small picture. 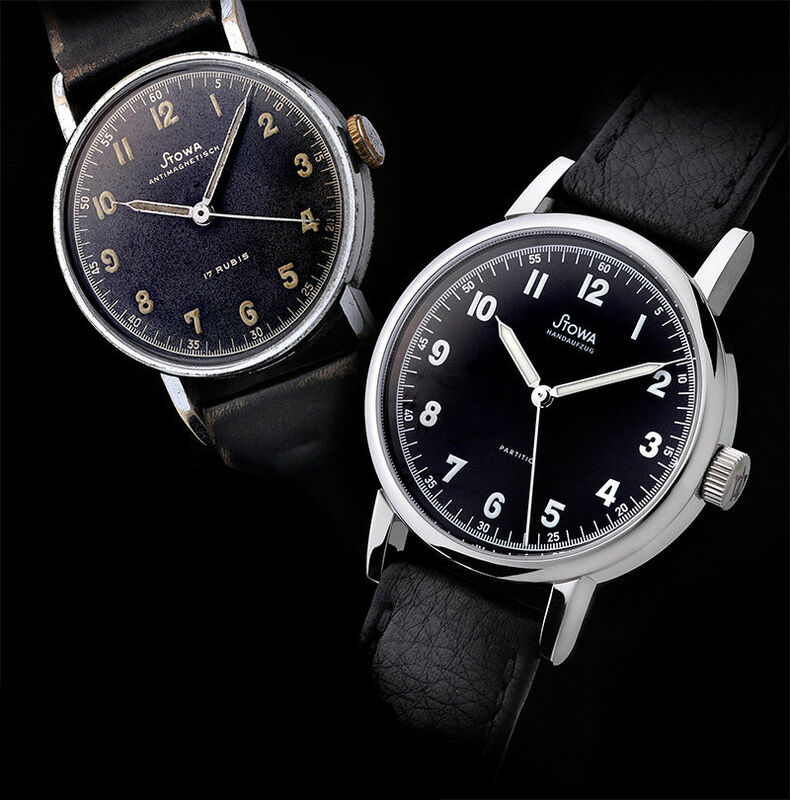 Be inspired by the historical STOWA watches. 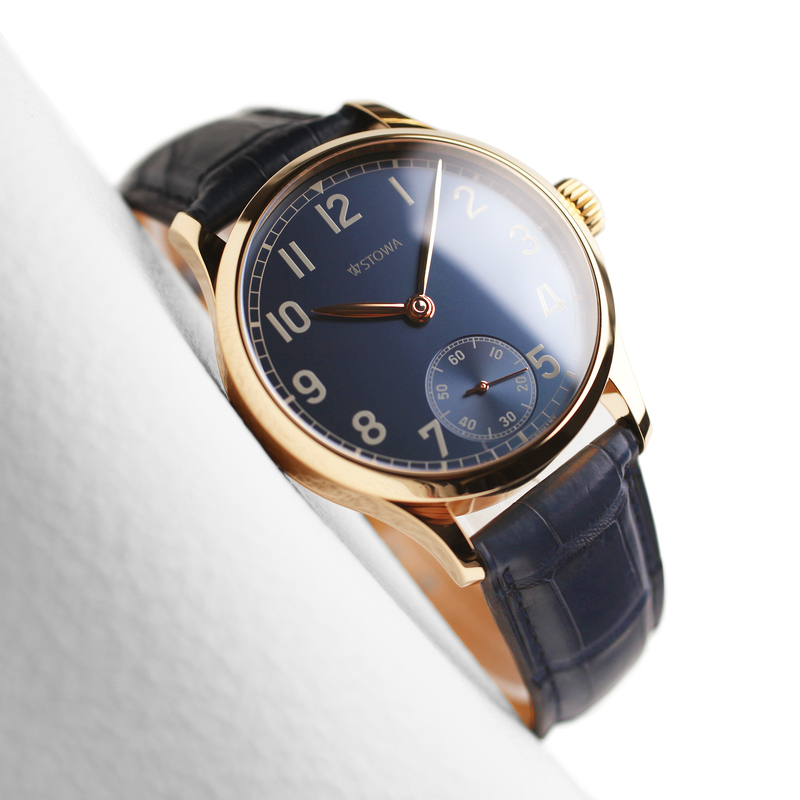 At that time as well as today the watches convince by a nice, balanced and simple design and a great love of detail. Beautiful. Good. True. Pforzheims traditional industry was known worldwide. 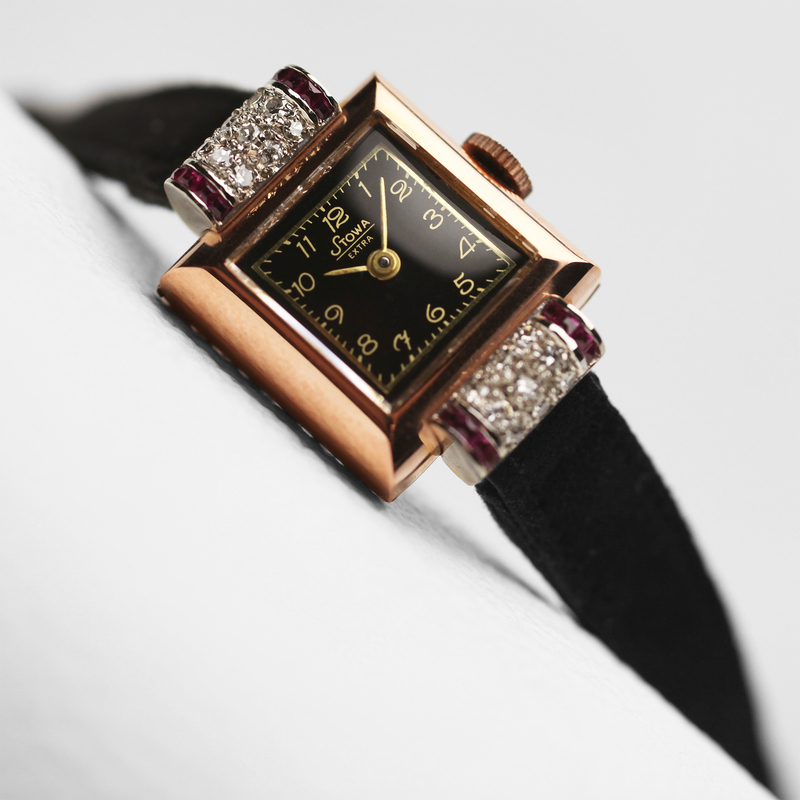 The goldsmiths, engravers and watchmakers worked together on very elaborate watches. 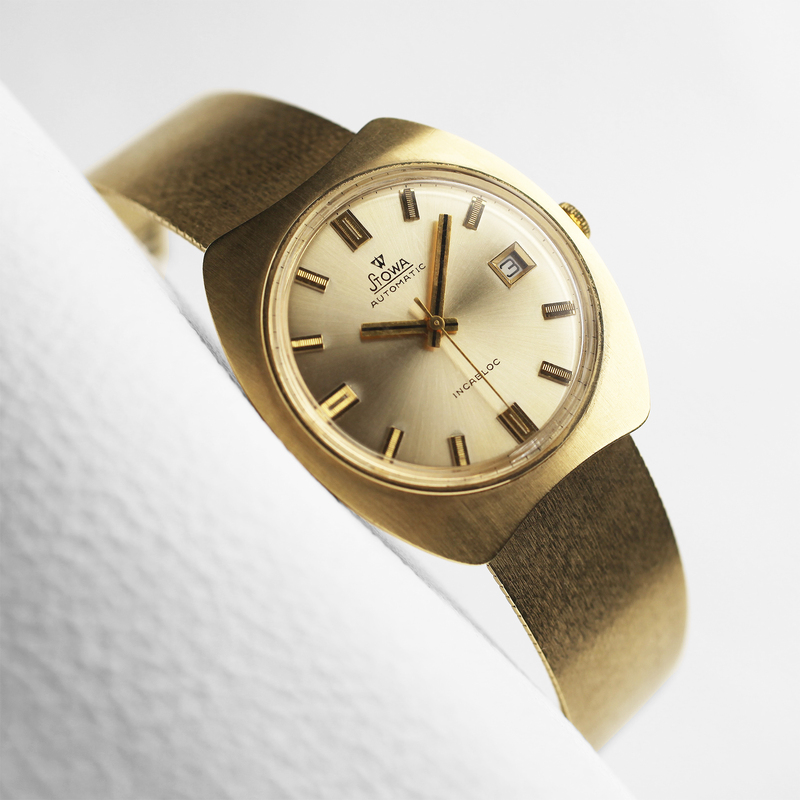 A lot of special golden watches has arisen from this time. The 70s. Bigger cases and colorful hands. 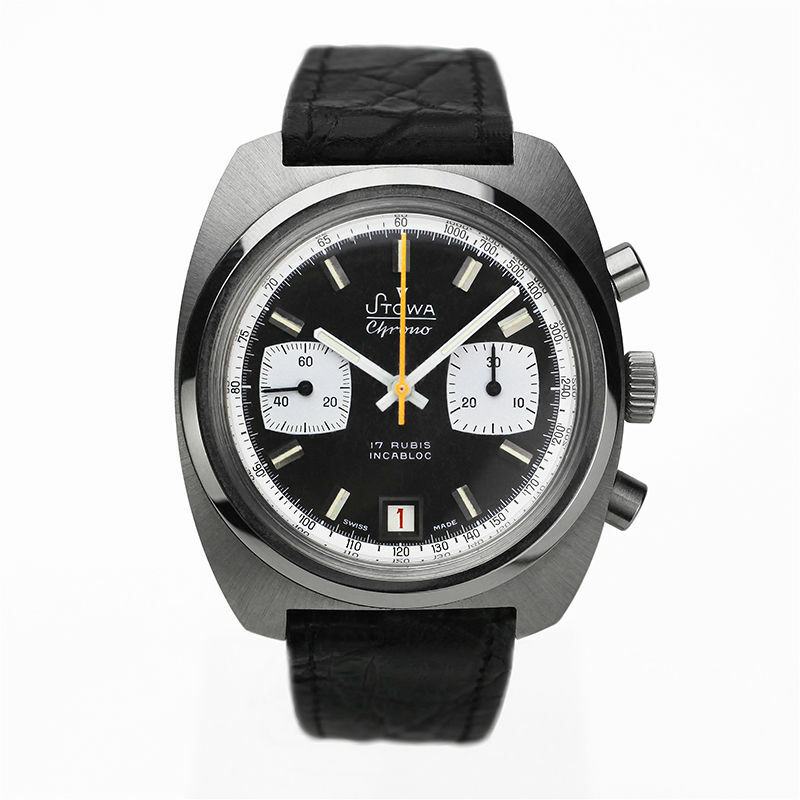 STOWA chronographs have been typical for these crazy times. 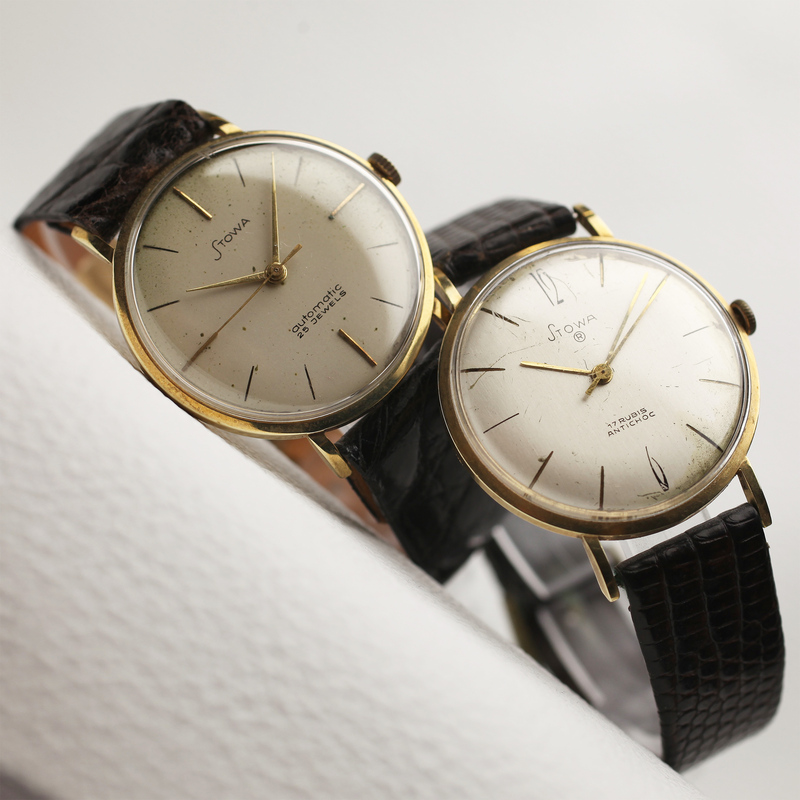 The watches from this period are popular as the bigger sizes allow the collector to wear them also nowadays. 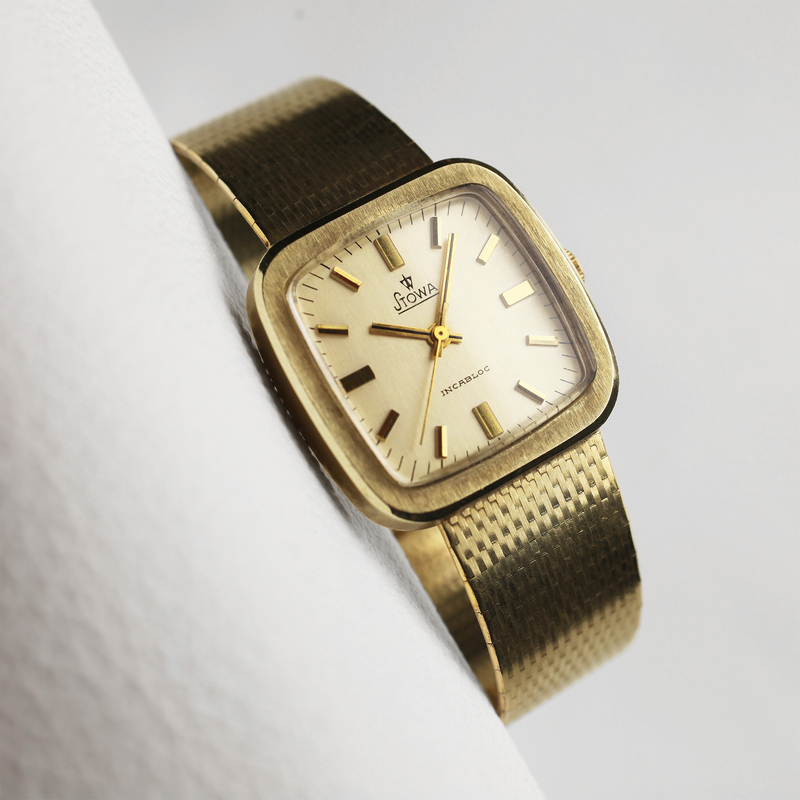 Mechanical "digital watches" were developed around 1970 in response to the electronic digital watches. 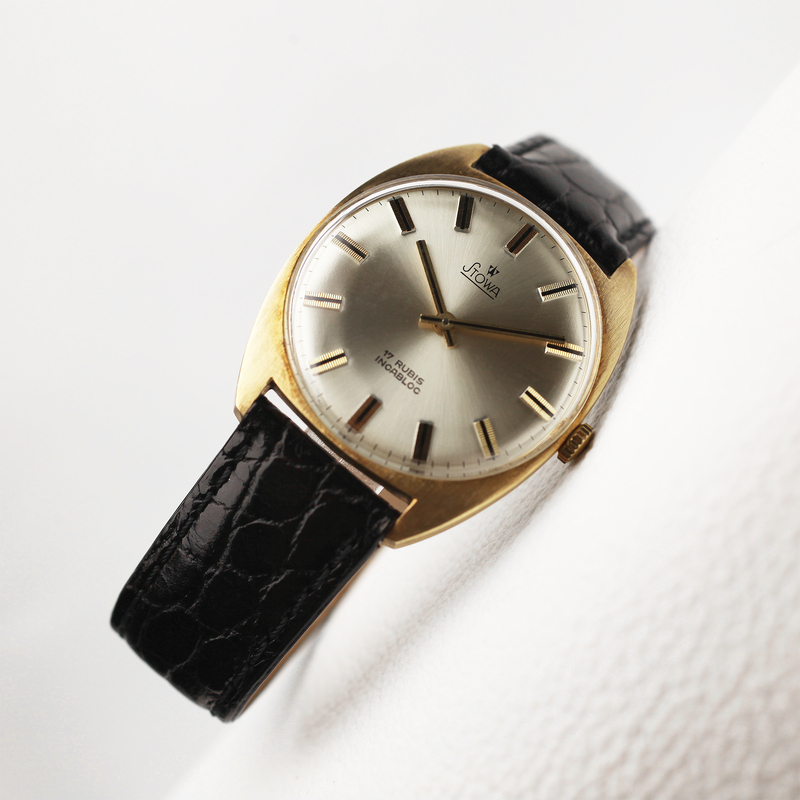 Since the mechanical watches were very thick and expensive because of the "digital design and mechanical parts", they could not get through. These watches were built only about 3-4 years. The triumph of the electronic watches was unstoppable from then on. 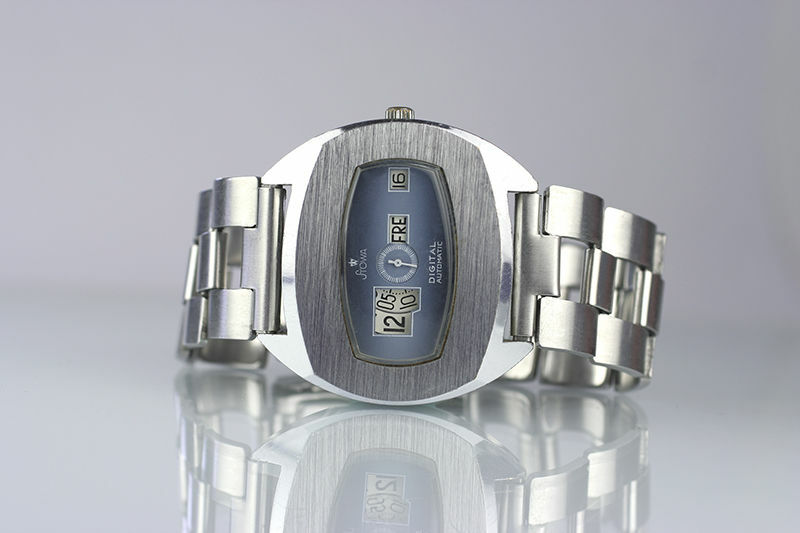 This small "digital" ladies watch has a blue fabric strap and a chromed housing. 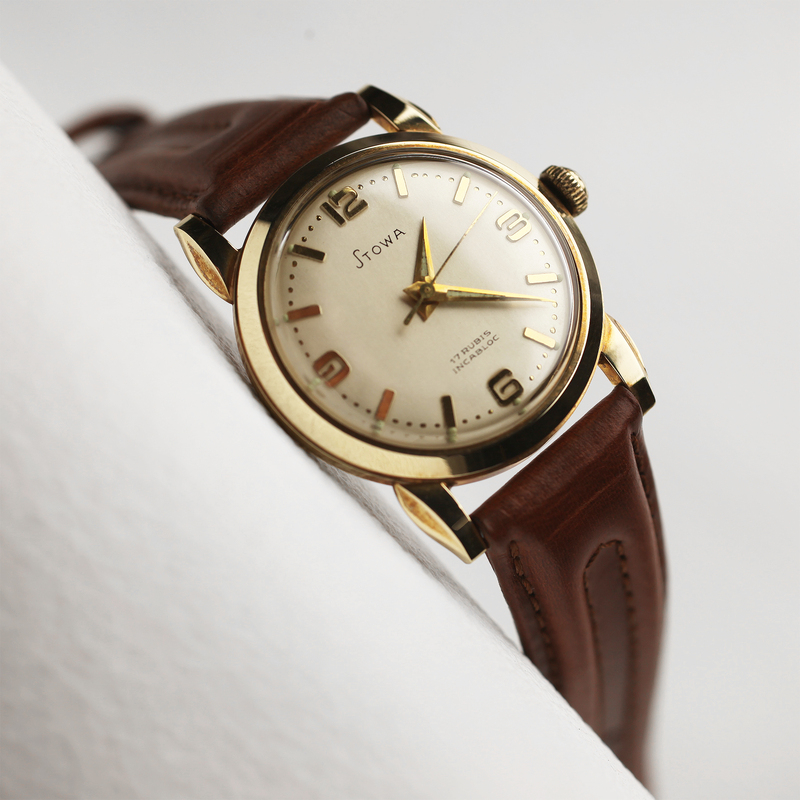 The watch is in a very good condition - like new. 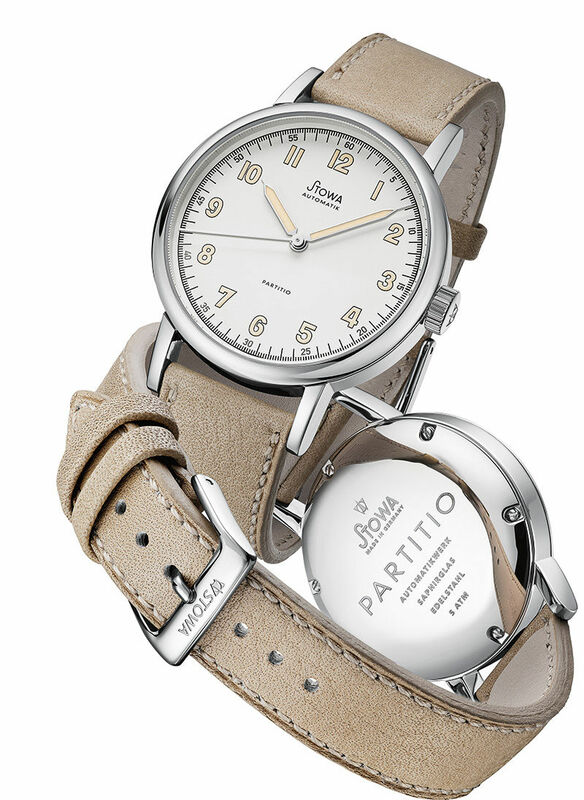 Starting from 1968 STOWA built several models of the model Minustop, also called Parktimer or Memotimer. There are many different versions. Here in the gold-plated case with a red disc. 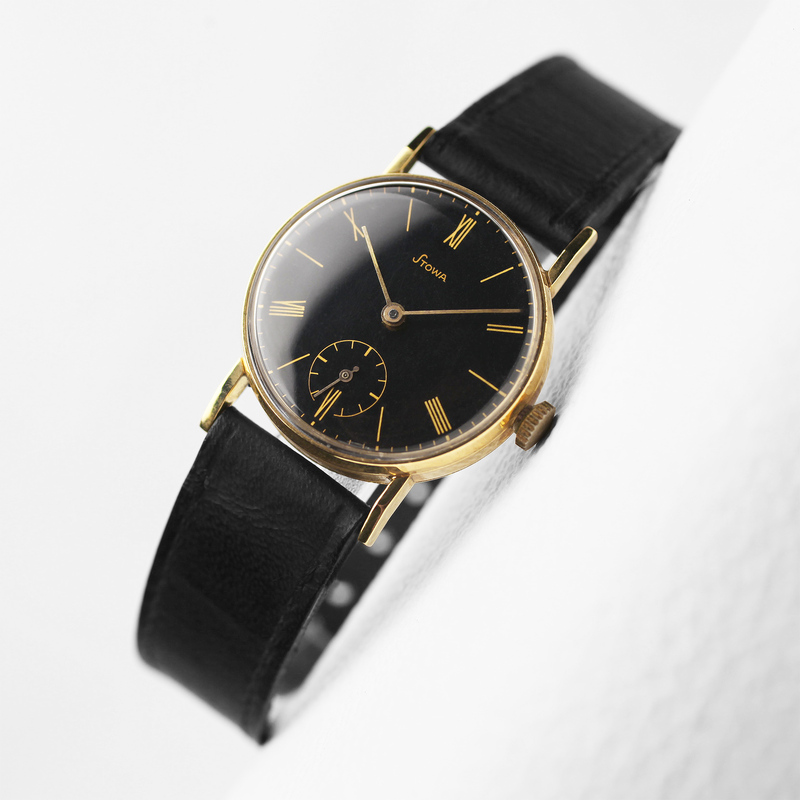 The watch is powered by a Durowe (Deutsche Uhrenrohwerke) movement from the 1960s. 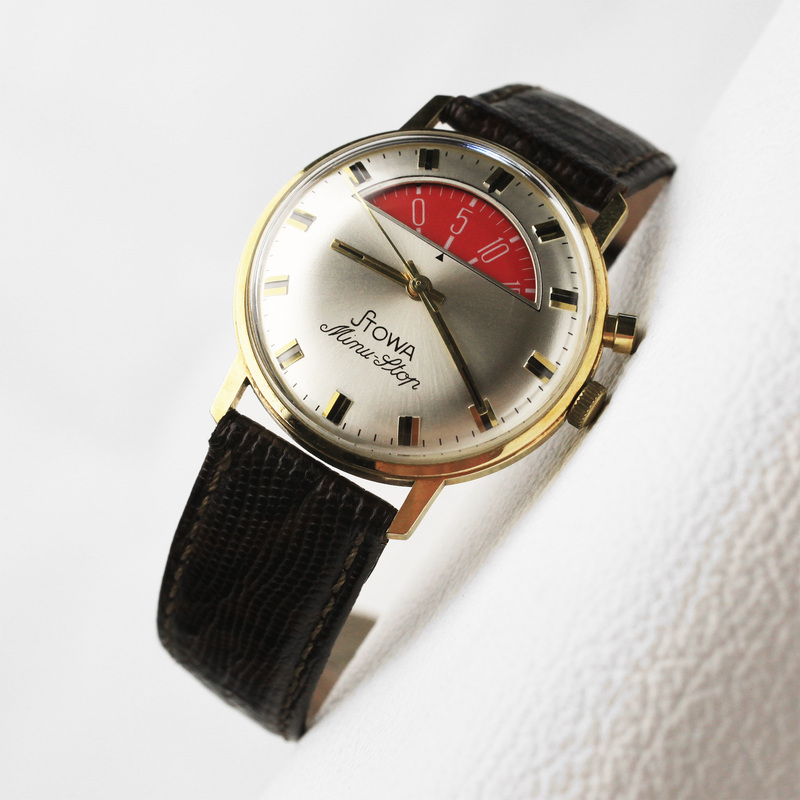 Traveler´s watch from 1968. 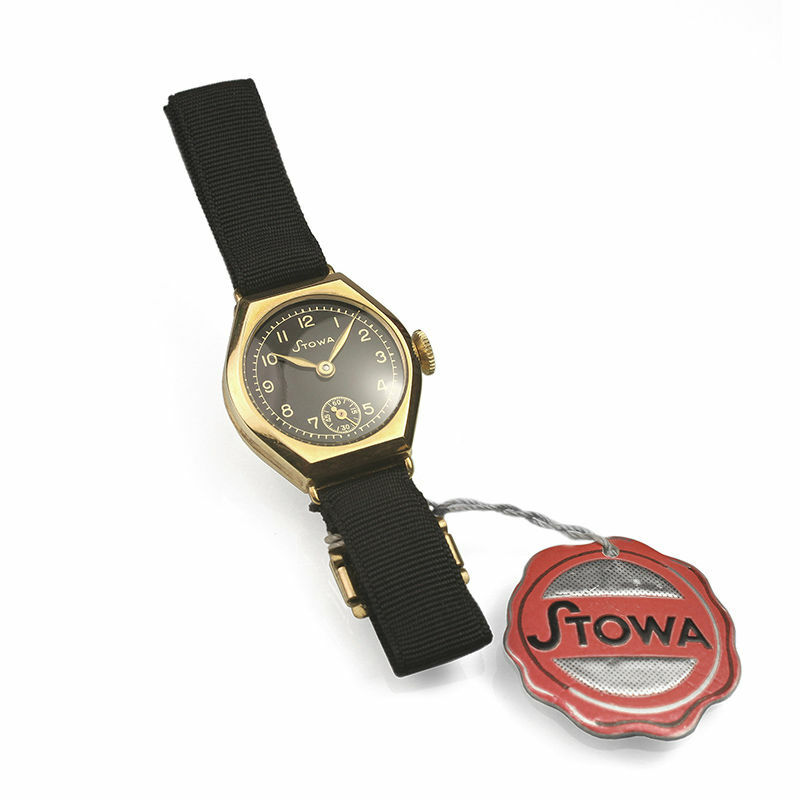 STOWA has made many of these reliable travel watches. The case was partly made of very high quality, sometimes in leather. 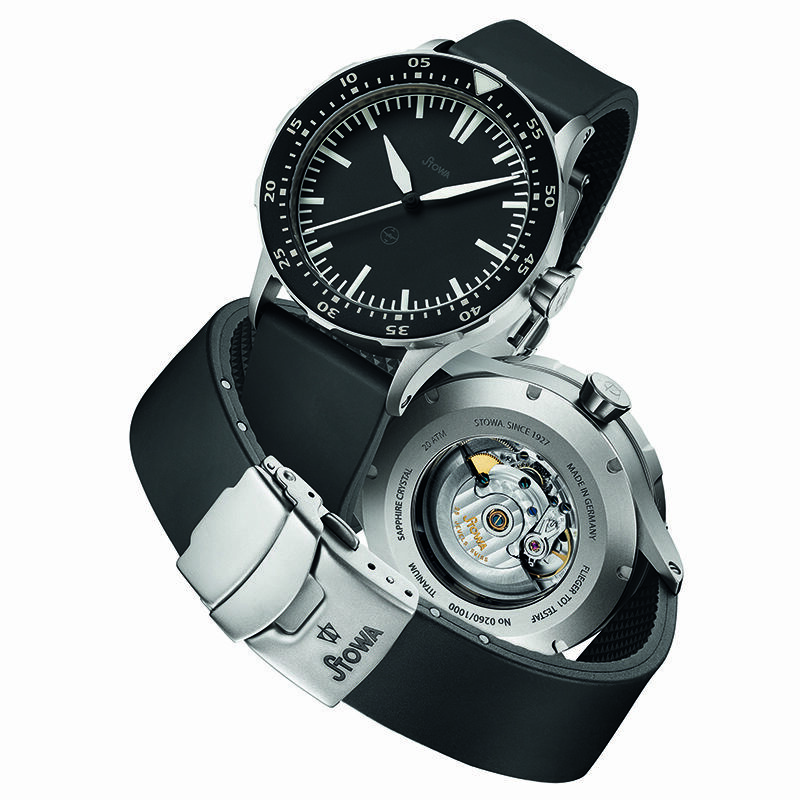 The sliding mechanism of the case was very innovative at the time. 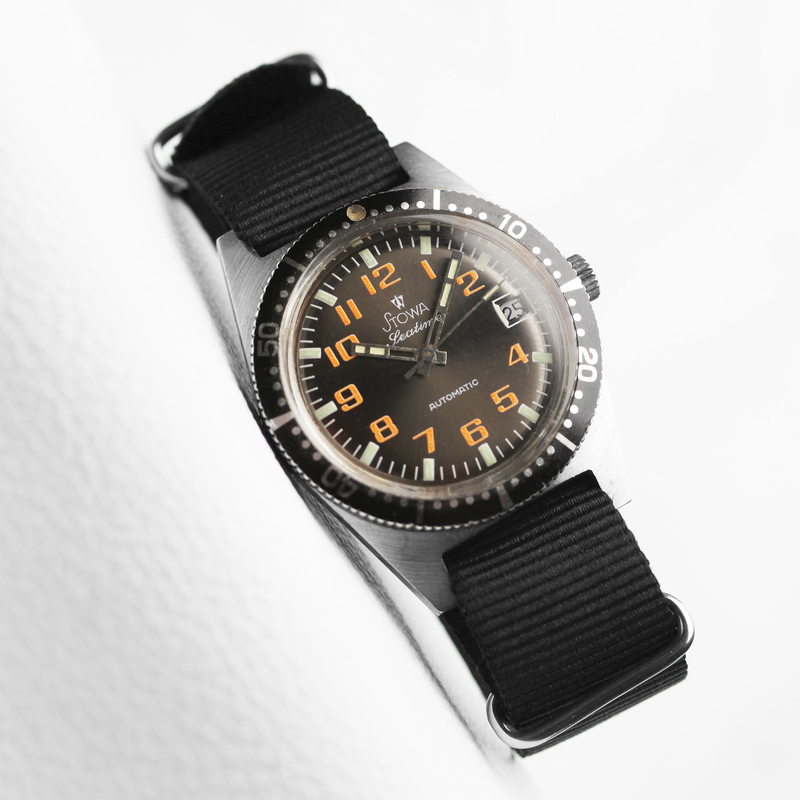 In this very rare Seatime sports watch the numbers were covered with orange luminescent mass. The basic dial has a fine cut and was coated dark gray. 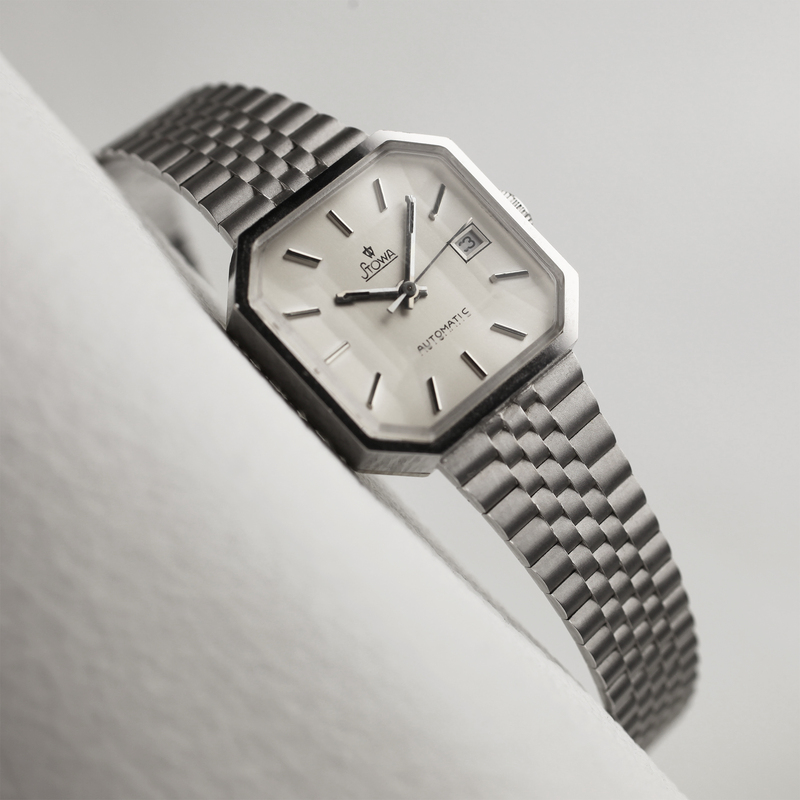 The typical case of this era was made of stainless steel and the rotating bezel was made of aluminum. 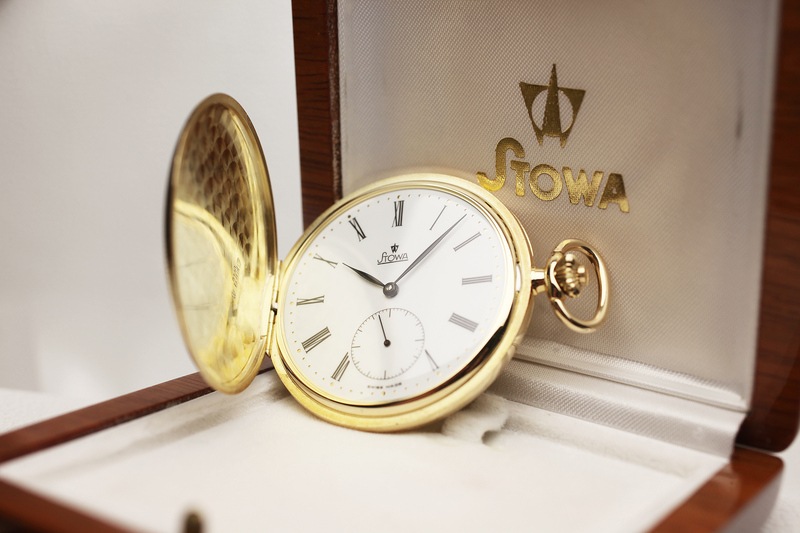 Another very rare and beautiful STOWA Seatime. 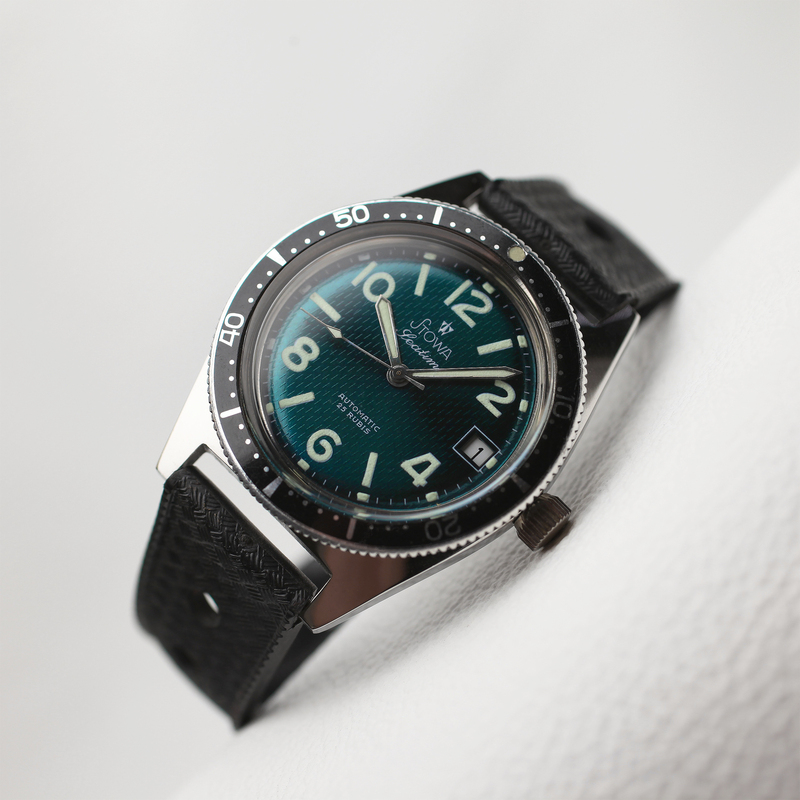 The dial is embossed turquoise with a very fine pattern. The incisive luminous numbers stand out particularly. 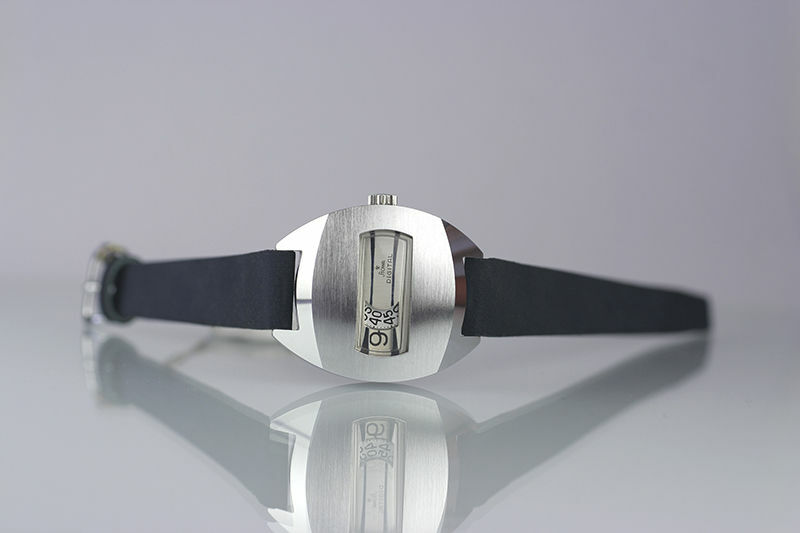 Stainless steel case and rotating aluminum bezel. 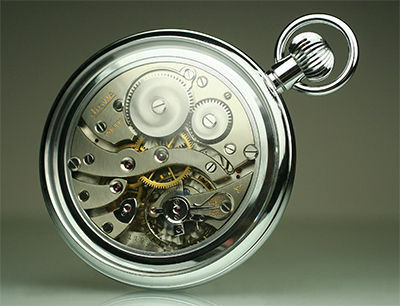 Simple designed handwinding pocket watch. 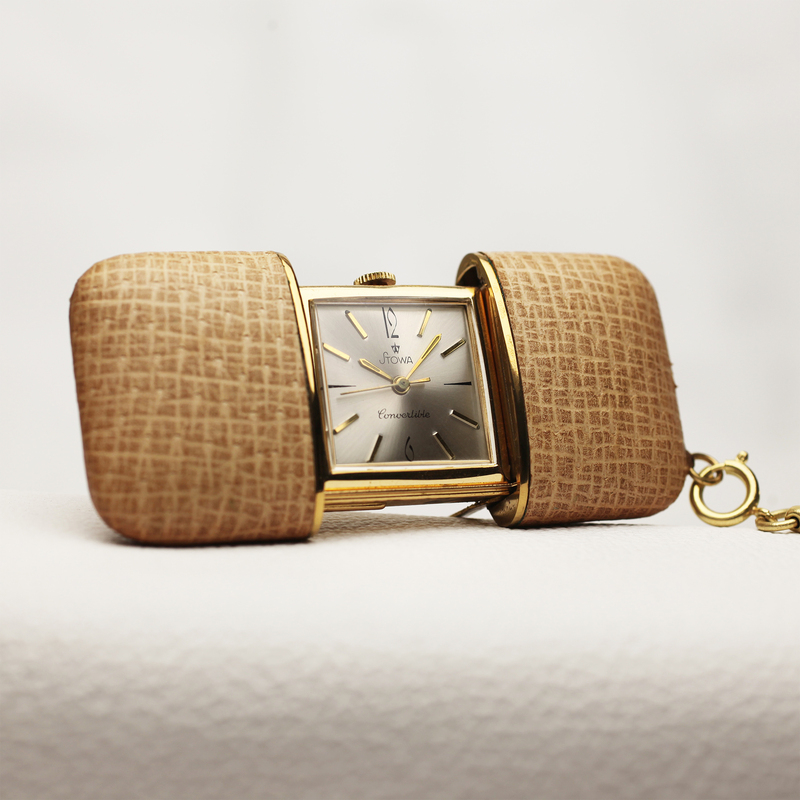 Case goldplated. 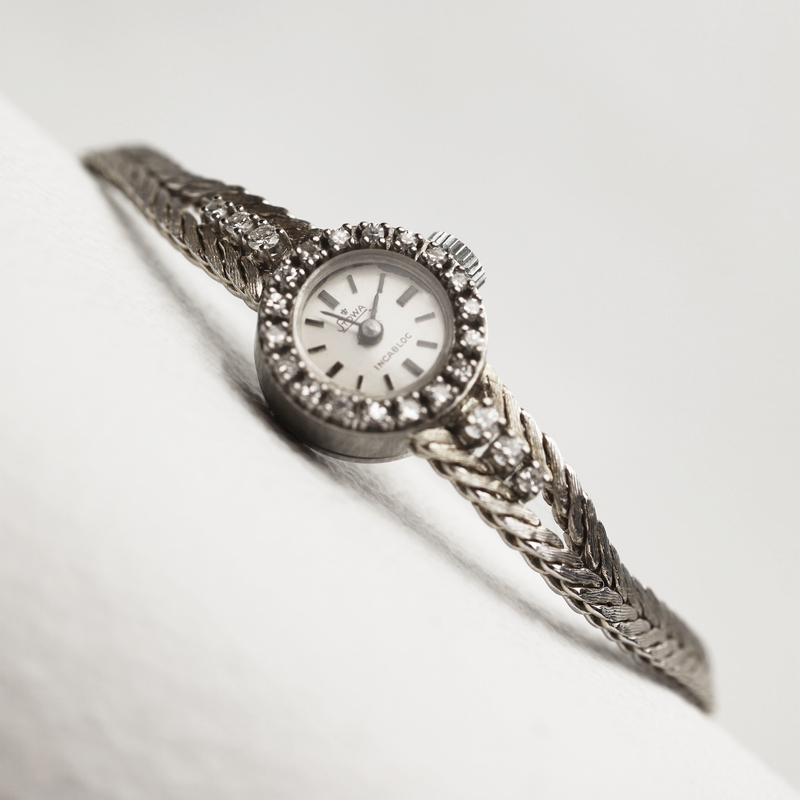 Silver coated dial and diamond cutter hour indications. 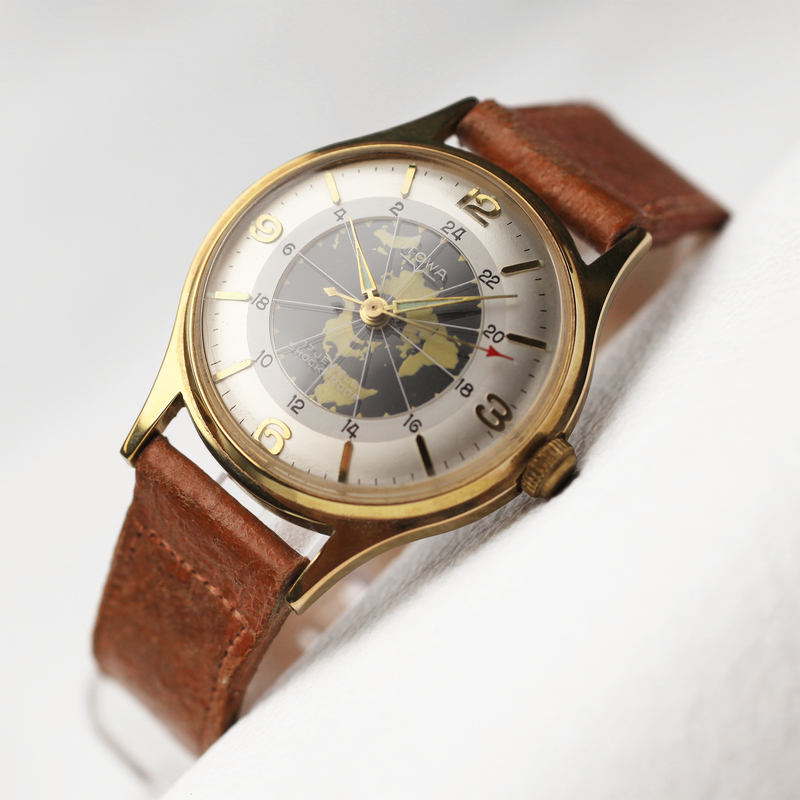 This very rare worldtime watch has a manual wind movement and a rotating disc with printed world map under a transparent dial. 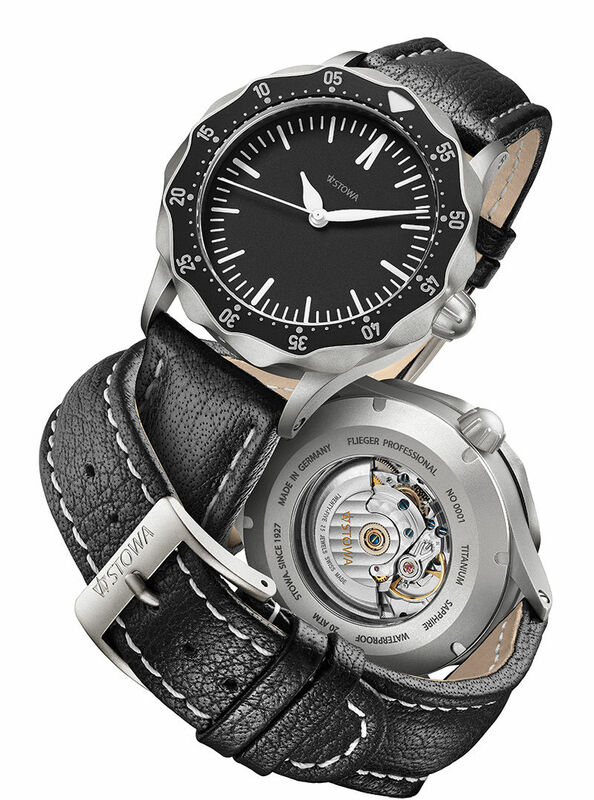 STOWA has always labeled "high-precision" watches with the addition "Precision" under the logo. They therefore document the use of particularly good movements using the latest technology or materiality. (In the context of time!) 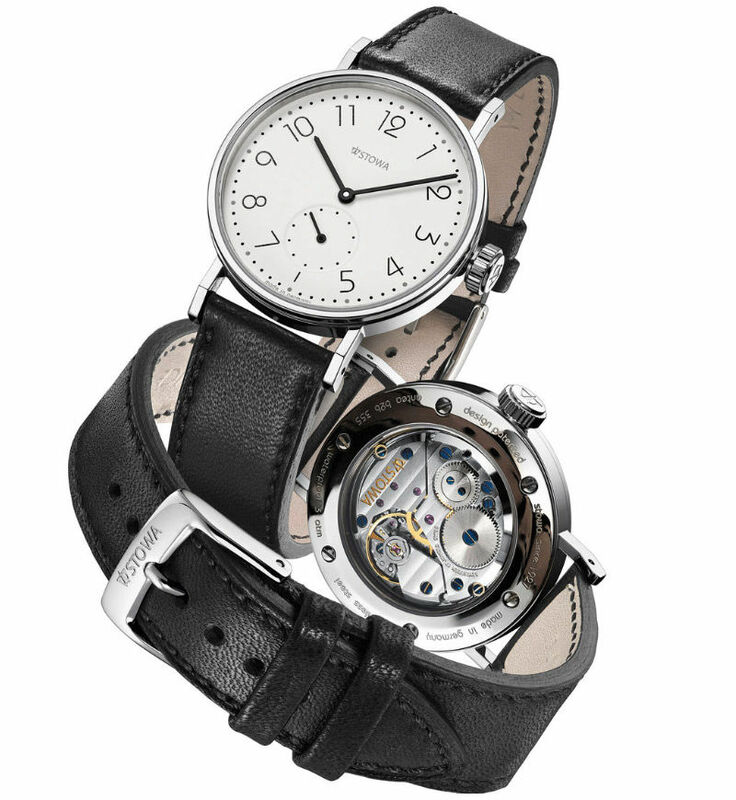 The name "Nivaflex" calls a new aloy for the winding spring of the movement. 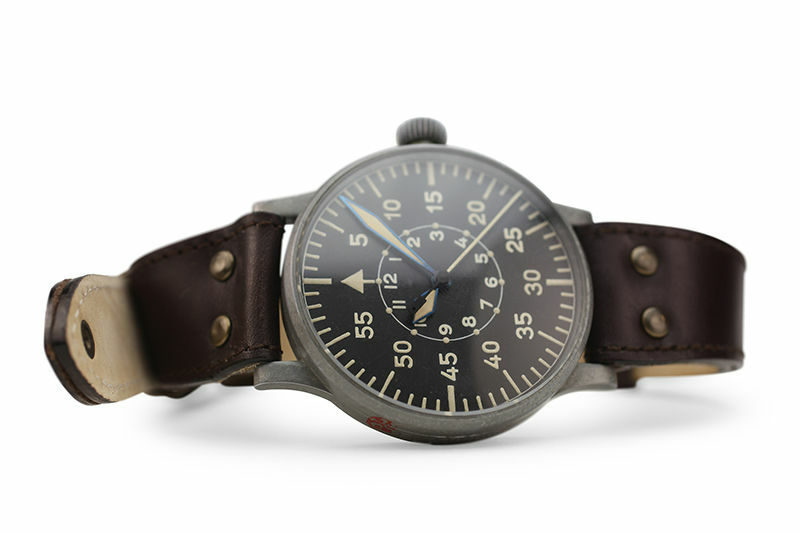 This is very important for a „Precision“ watch. 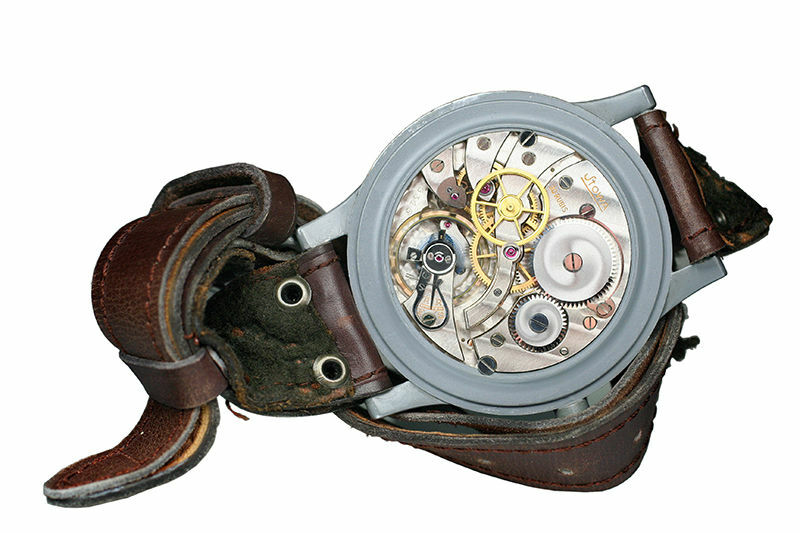 The mainsprings of mechanical watches were made of pure, susceptible to rust and fragile carbon steel. Then, structure- and cold-rolled alloy alternate the susceptible mainsprings. 1938. 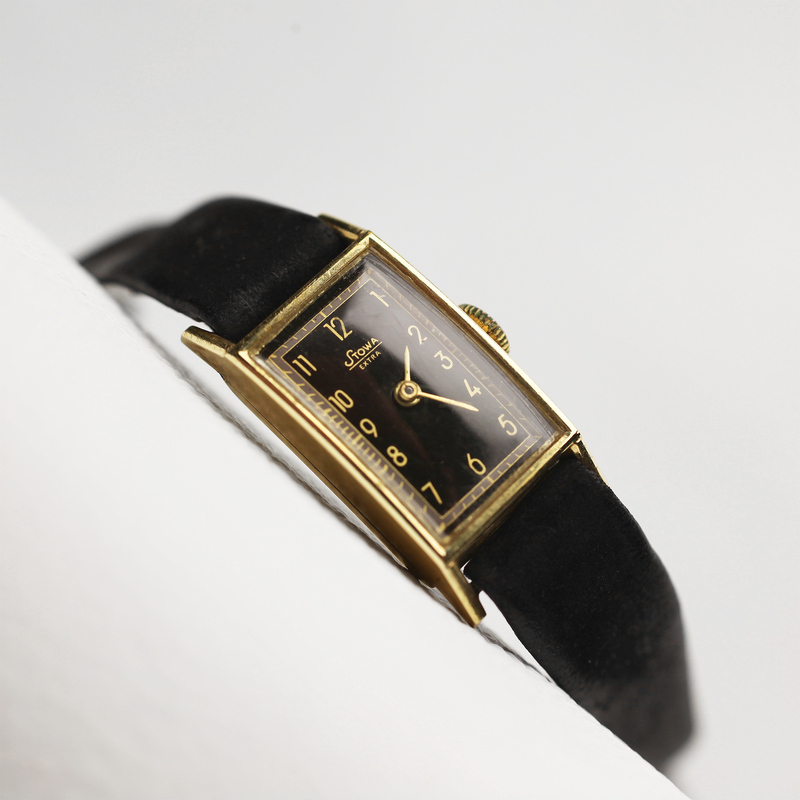 The design of this historical watch that we show here dates back to 1938 and was - as was customary - created in Pforzheim / Germany. It combines a simple design using a straightforward font with the practical night readability by occupying with luminous color on numbers and hands. 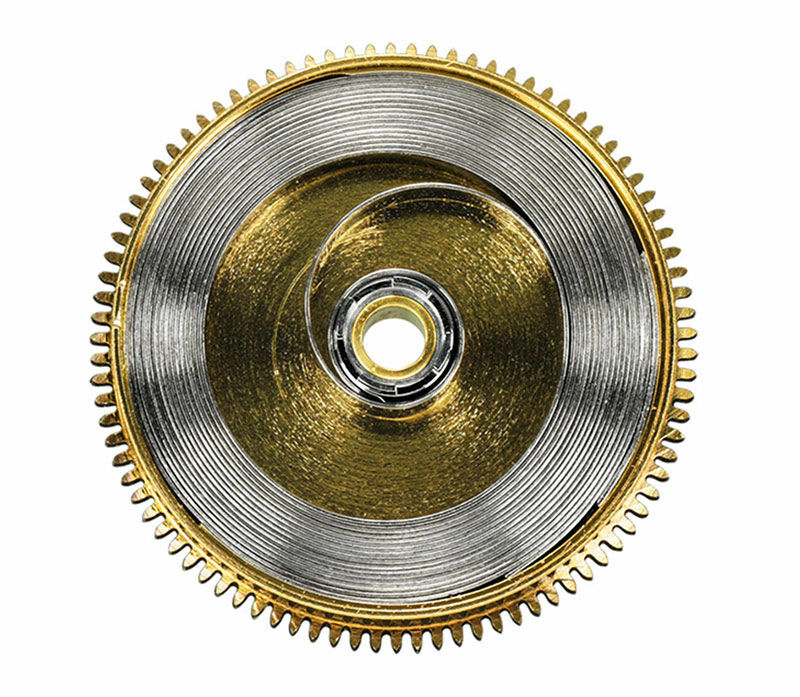 The high-quality mechanical movement has an indirectly driven center seconds, a screwbalance and gold-plated stone bearings. 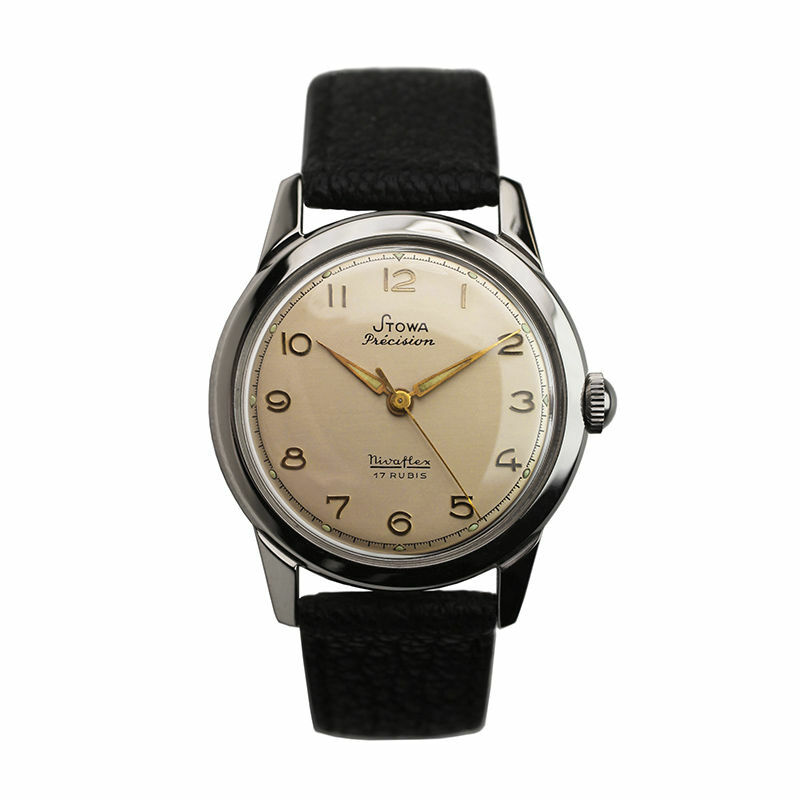 Even then, this quality of work underscored STOWA's quality standards. 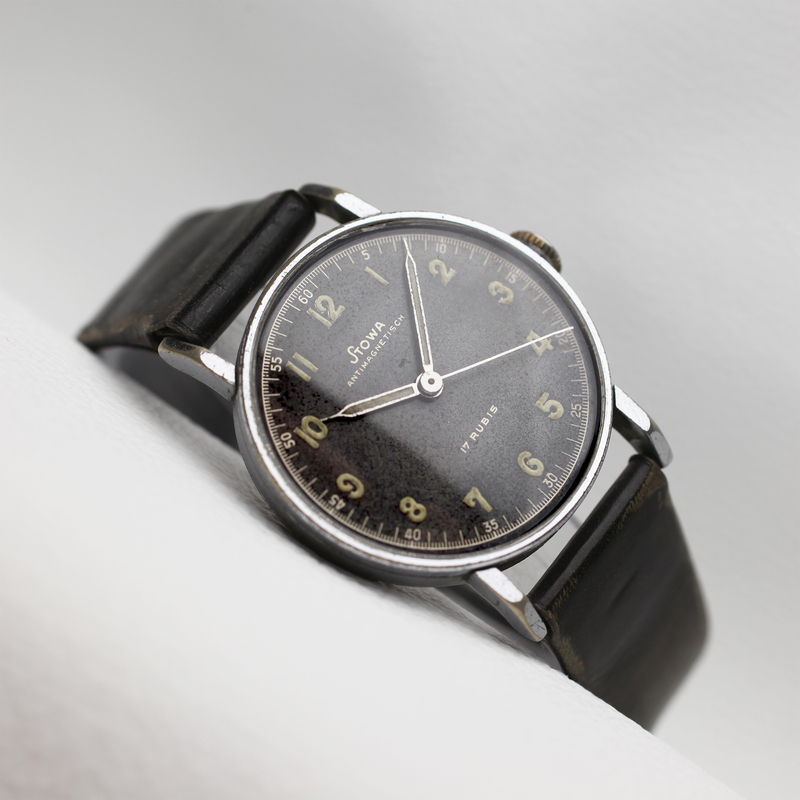 Military watch with illuminating hands and numbers, around 1936. 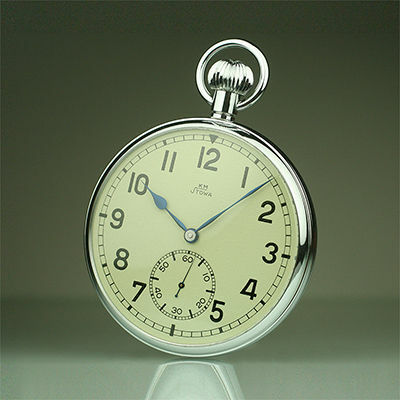 Pocket watch with Art Deco engraving. 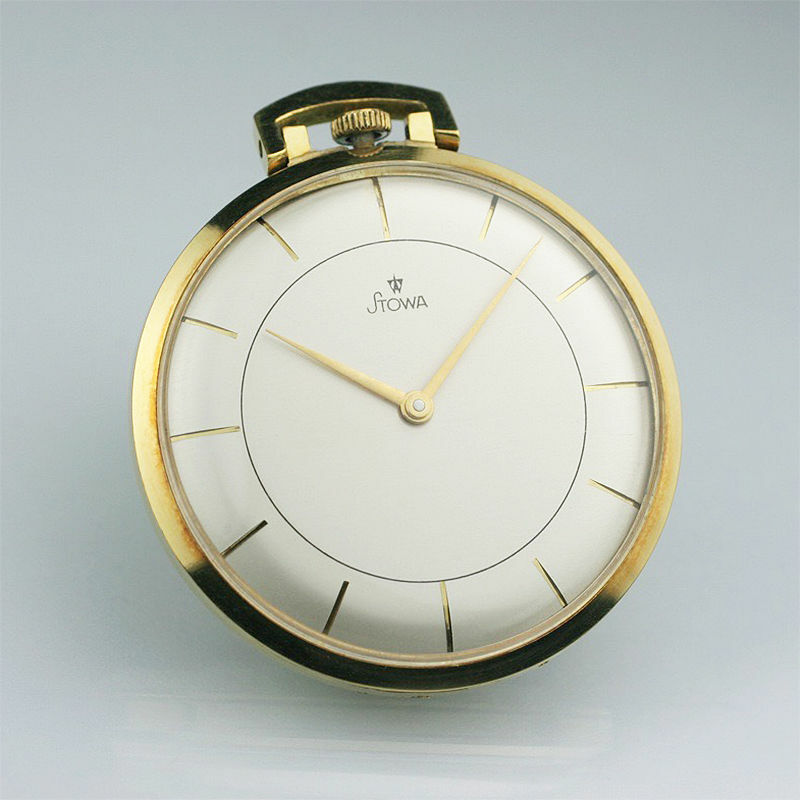 This historical pocket watch has an elaborate dial with a complex construction process. The base of the dial is polished and then partially covered with the printed color (numbers and all the markings). It is then dyed black and printing varnish is removed from the dial. 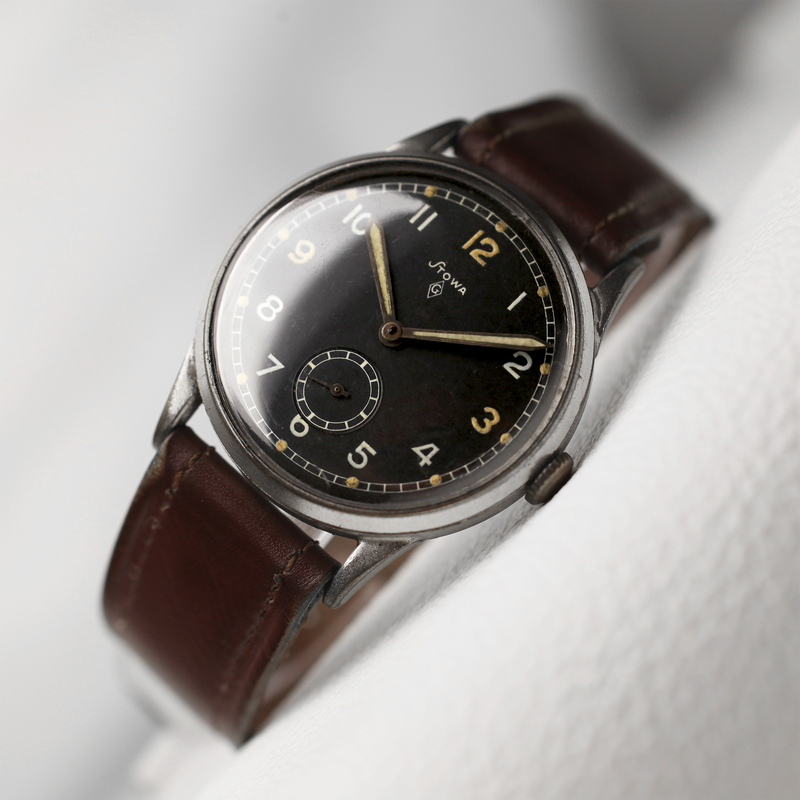 Upon completion of this process, the polished numbers and case markings have a perfect sheen, especially when the light reflects on the dial. 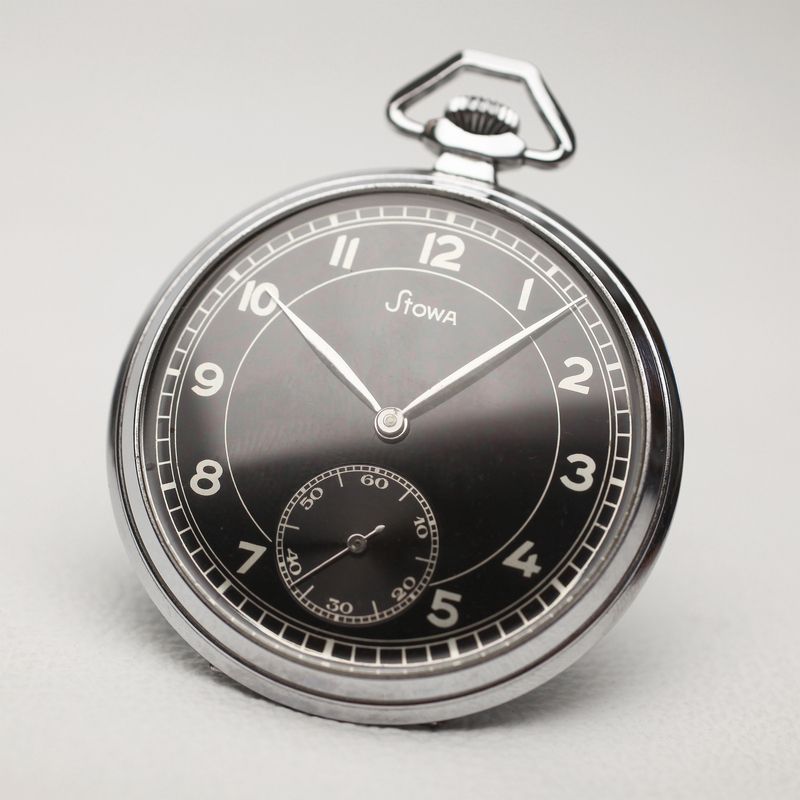 The pocket watch case has a beautiful Art Deco style engraving.